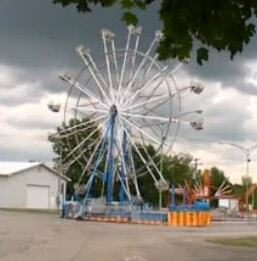 MANSFIELD — The Richland County Fair opens Monday in at the fairgrounds off Home Road. It runs Aug. 6-12. Grandstand events this year include harness racing Sunday and Monday at 5 p.m. each night; County music singer Joe Diffie at 8 p.m. Tuesday; KOI Drag Racing at 7 p.m. Wednesday and a rodeo at 7 p.m. Thursday. The Richland County tractor pull starts at 6 p.m. Friday and the always-popular demolition derby begins at 5 p.m. Saturday. The rides open at noon Monday. Also, besides the rides, animals, grand stand entertainment and abundant fair food, visitors are welcome to check out what’s happening at the Nature Park from Aug. 6-12. The Nature Park includes an area when you may relax on seating shaded by large trees and surrounded by beautiful native plant gardens. You can sit and rest and enjoy some natural resource and environmental programs, and listen to live music. Programs and entertainment at the Nature Park are free with your paid admission to the Fair. Sunday, Aug: 6 at 7 p.m. — the group Overcome will entertain with Contemporary Christian music. Monday, Aug. 7 at 3 p.m. — The program is :Malabar Farm State Park: Your Destination For All Seasons,” by Thomas Bachelder, Malabar Farm Foundation board member; 4 p.m. — “How to Make Compost and Compost Tea,” by Eric Larson, a Richland County Master Gardener; 7 p.m. — the Shelby County Line Band will entertain with country music. Tuesday, Aug. 8 — at 3 p.m. the program is “Rainfall Simulator Demonstration: The Effect of Rain on the Land,” by the Richland Soil and Water Conservation District. This program will take place in the building; 4 p.m. — “Snakes of Richland County,” by the Richland County Park District-Gorman Nature Center; 7 p.m. — the group Montage will entertain with an mix of music from the 1970s, ’80s and ’90s. Wednesday, Aug. 9 — at 3 p.m., the program will be on “Basic Beekeeping,” by Sonny Barker of the Richland Area Beekeepers Association; 4 p.m. — “Landscaping with Native Plants,” by Bill Flanegan, a Richland County Master Gardener; at 7 p.m. — Bucks Bar & Grill will present the winners of the “Rising Star” competition. Thursday, Aug. 10 —the 3 p.m. program is “Pollinator Plots for All.” Join a Division of Wildlife biologist and learn how pollinator plots can positively affect not only insects and butterflies, but other wildlife species, including turkey, rabbits, songbirds, pheasants and deer, etc. ; 4 p.m. — “The Water Beneath Our Feet, Simple Steps to Clean Water,” by Kim Hildreth, program coordinator of the City of Mansfield Engineering Department; 7 p.m. — “Harry Trents” will perform old country jam music. Friday, Aug. 11 —3 p.m. program is called “Turtles of Richland County,” and will be presented by Richland County Park District-Gorman Nature Center; the 4 p.m. — program is called “Rainfall Simulator Demonstration: The Effect of Rain on the Land,” by the Richland Soil and Water Conservation District. This program will take place in the building; At 7 p.m., — the entertainment will be “Sobos,” who are from the Wooster Area and will perform 1970s and ’80s high energy vocal rock music. Saturday, Aug. 12 — at 7 p.m., the entertainment will be “Hobos” an Americana string band from the Bucyrus area. On Wednesday at 4 p.m., A program on “Basic Beekeeping,” by Sonny Barker of the Richland Area Beekeepers Association, will be presented in the Nature Garden, near the Big Red Barn, during the Richland County Fair. 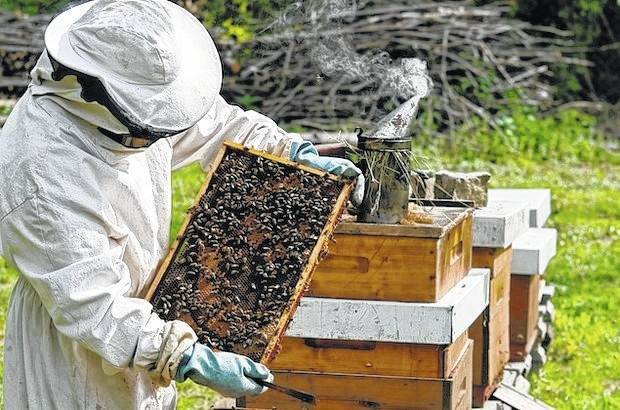 https://www.galioninquirer.com/wp-content/uploads/sites/38/2017/07/web1_Beekeeping.jpgOn Wednesday at 4 p.m., A program on “Basic Beekeeping,” by Sonny Barker of the Richland Area Beekeepers Association, will be presented in the Nature Garden, near the Big Red Barn, during the Richland County Fair. 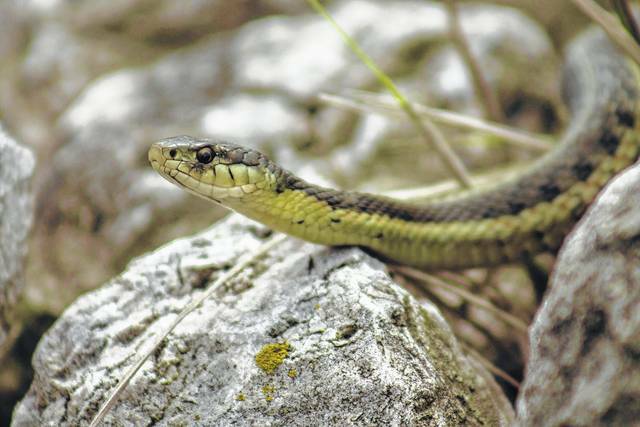 At 4 p.m., Tuesday, in the Nature Garden, near the Big Red Barn, at the Crawford County Fair, visitors can take in a program called “Snakes of Richland County.” It is one of many nature-oriented programs that will be presented during the fair. This one will be by the Richland County Park District and Gorman Nature Center. https://www.galioninquirer.com/wp-content/uploads/sites/38/2017/07/web1_Garter-Snake-2.jpgAt 4 p.m., Tuesday, in the Nature Garden, near the Big Red Barn, at the Crawford County Fair, visitors can take in a program called “Snakes of Richland County.” It is one of many nature-oriented programs that will be presented during the fair. This one will be by the Richland County Park District and Gorman Nature Center.